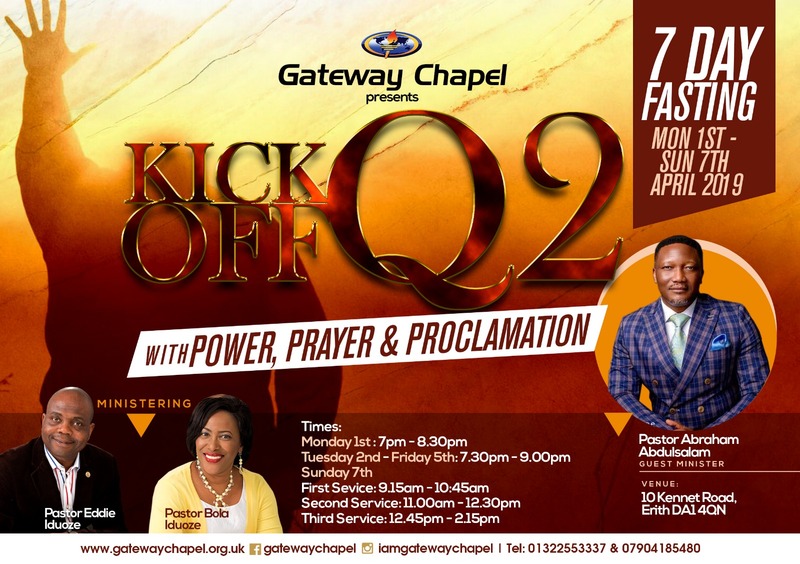 Join us for a Powerful week as we kick off Quarter 2 of 2019 with Prayer and Proclamation! We start with Trumpet Night on 1st April as we usher in the new month, then continue for the whole week proclaiming God’s goodness for Quarter 2, this will be backed with Fasting for the week. If you think your time hasn’t come…It has now! Come with a steadfast heart for this week and see God do wonders in Quarter 2 of 2019 in your life.